Sri Sai Latha is the pen name of Raja Anjana Kothapalli. 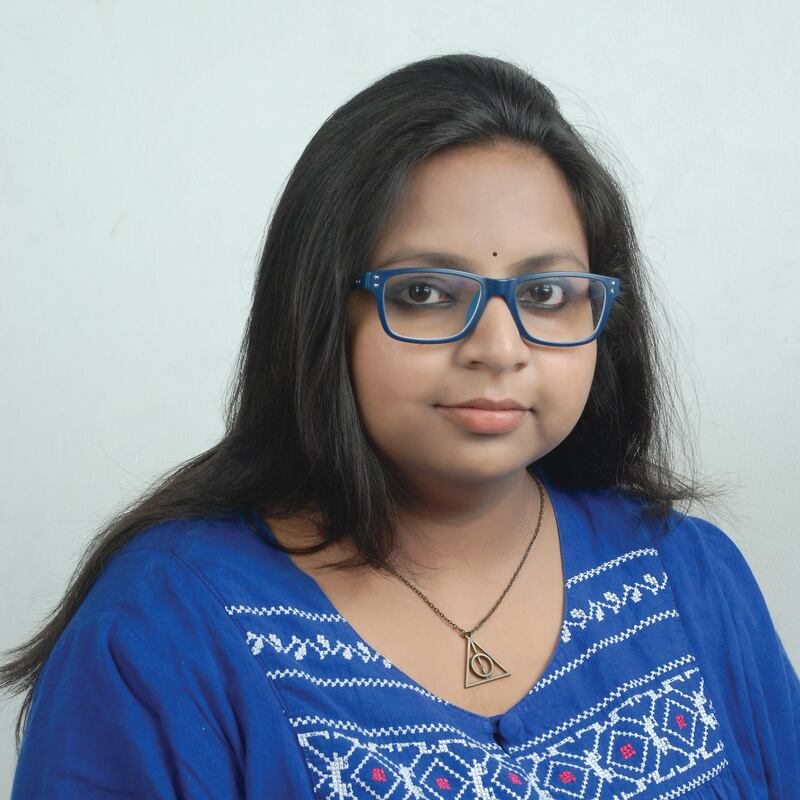 Anjana is a 27-year-old fiction writer from Hyderabad, Telangana. She is an Electronics and Communications Engineer by qualification. She had worked as Senior Software Engineer in Capgemini and also served as Assistant Manager in Andhra Bank. Right from a very young age, Anjana is an avid reader. She had developed a passion for writing in her late teens. She is a blogger and her works in fiction, poetry and other writer-ups had appeared in numerous online sites. What is unique in your story? I am a storyteller and writing is the way I chose to tell a story. My story, ‘Dream Girl’ is about reminiscing a forgotten eternal love, where the past meets the present for a perfect future. I believe the uniqueness of this story lies in its narration and plot. Which genre do you prefer for reading? Who is your ideal author? How is the feeling of getting published? I feel ecstatic. Until recently I only know about the old traditional publishing process where the writer sends her/his manuscript to the publisher and waits till she/he get a reply. The first time I heard about an anthology was when a short story written by my sister’s friend had been published as a part of an anthology. ‘Dream Girl’ being my first attempt at sending a short story for an anthology and it also being my first published story, I am overjoyed and motivated to pen more stories. How was your book publishing experience? As I said earlier, I am new to the evolving world of publishing. I presumed that the entire process would be time consuming and tedious. But I had an amazing time working with Write India Publishers and Authors’ Ink Publications. Mr. Atul Purohit and Mr. Aniket Kapoor, had made my first publishing experience, smooth and easy. They had provided strong support and useful guidance throughout the process. The publishers along with the other contributing authors had made my ‘The Forgotten Life’ journey, a joyous celebration. I would be extremely delighted to be a part of their future ventures. I am currently writing and rewriting the manuscript of my first novel titled (working title) ‘Samridhi’ and intend to get it on racks, hopefully in 2016. Thank You Ms. Kothapalli for giving us your valuable Time.